Blogger Anniversary Template is another beautiful blogger template which is modified and converted by us from WordPress template. 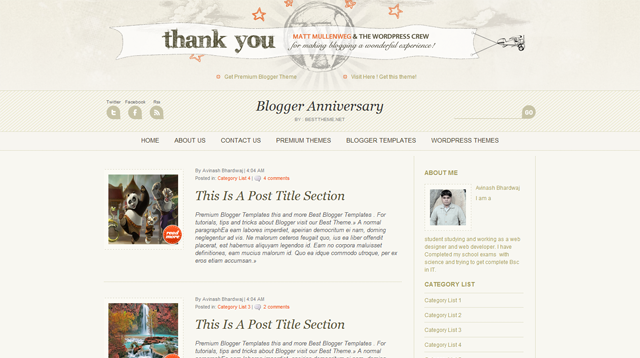 Blogger Anniversary Template is a blogger theme in blog style with latest feature and newly developed advance posting method. In this theme you need some basic formating in image style like every image should must be more than 620 px wide. All template setting you will get in the template folder and if any problem happens please ask through comment. So this template contains two version.